Very few organisations currently achieve a budgeting and forecasting process which provides sufficient accuracy. It has never been more important to produce budgets and forecasts that focus on providing accurate cash flow related insights. However, very few organisations currently achieve a budgeting and forecasting process which provides such accuracy. In what is a somewhat strange and ironic scenario, it is commonplace to find people in finance departments who dislike the budgeting and forecasting processes, despite the fact that budgeting and forecasting is one of the few areas in finance where there are fewer constraints imposed by regulatory compliance. 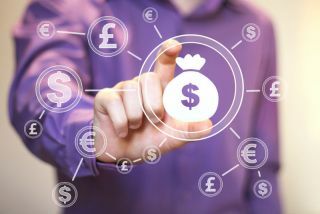 However, few finance departments take advantage of this to build a solution that is uniquely suited to the requirements of their organisation. While a transformed experience is potentially no more than a single decision away, it is worth noting that for these finance teams, the choice of tools can often be problematic. This is mainly due to the fact that planning, budgeting and forecasting all require the use of different approaches. Take the budgeting process, for example, and it becomes clear that there can be no 'one-size-fits-all' approach. Many companies have enjoyed success with their budgeting based on a hybrid approach that includes elements of zero-based budgeting, driver-based budgeting, and the use of a simpler cost-plus approach to elements of their cost base. On the other hand, other organisations find they are more successful when they employ a more focused approach, which utilises only one of these methods. This demonstrates that the choice of approach is ultimately driven more by the needs of the individual business than it is by the merits of one approach over another. So why does this create a challenge when selecting the correct tool? One of the primary reasons is that the need for flexibility is often best met by the tool that accountants know and love, namely Microsoft Excel. The problem comes in when one considers the fact that most companies require a budgeting process where responsibility for different components of the budget is distributed among various stakeholders, but with a financial controller in the centre. In such a scenario, it becomes necessary to control the ‘workflow’ with input from different people and to have these inputs approved. This in turn means it is necessary to have the data securely stored in a database as it is captured, rather than trying to control the information via multiple different spreadsheets. Change control and the auditability of changes are also important. A spreadsheet-based approach often fails due to such elements. As a consequence, the operational use of a spreadsheet-based approach is problematic and imposes a significant overhead on the people responsible for managing it. In fact, a survey by one of the Big Four auditing firms on the use of zero-based and driver-based budgeting and forecasting – as opposed to the simpler cost-plus method – found that, irrespective of the approach used, Excel or a local database of some sort was utilised by 52 per cent of respondents, with that increasing to 73 per cent for forecasting. However, there are definitely better and more effective tools available for those who are prepared to move beyond the scope of simple Excel spreadsheets. In principle, what is required is a tool that still gives users the power and flexibility of Excel, whilst being based on a robust data warehouse. Furthermore, the solution needs to provide the ability to control the allocation of responsibility to different stakeholders, and offer visibility on where each person is in the process of completing their part of the process. With a tool like this in place, an organisation will have the correct foundations in pace to make it possible to build a solution which is tailored to the specific requirements and circumstances of their company. This would be a solution that drives participation, facilitates changes in behaviour and creates a sense of accountability. A good example would be that of BI 360, a system which assists those clients that require a more robust approach to planning, budgeting and forecasting.BI 360is built on a robust SQL Server data warehouse, meaning it can incorporate data for planning, budgeting, forecasting and actual results – both financial and operational metrics. This means that it becomes possible to embed corporate strategy into the budgeting process, right down to an operational level, while also including the same level of data for financial reporting. This enables management reporting to become a more powerful analysis of the extent to which operational metrics account for fluctuations in financial results, and whether specific strategic or operational planning items need to be reviewed. Of course, a tool can only do so much – what is equally critical in changing your approach to budgeting is to align with an implementation partner that brings a high level of skills and experience in the use of activity-based costing and value chain analysis. Such a partner will be able to assist your organisation to build budgeting models that reflect business operations and requirements more accurately, provide the level of granularity needed to understand the drivers of specific costs and help your business influence behaviours to optimise financial results. Ultimately, successful forecasting requires the correct level of precision, particularly when we are talking about longer range forecasting. It is also important to determine the optimal forecasting cycle for a particular company – some forecast quarterly in advance and no further, while others require significantly longer forecasting ranges and time horizons that are not tied to financial reporting periods. Still others prefer to adopt a rolling forecast. However, no matter what budget and forecasting methodology an organisation employs, and no matter what time range the organisation is wanting to forecast, success will be determined by the tools they use, and the partner chosen to implement these. Get this right and you will have the level of flexibility required to undertake budgeting and forecasting according to your own choice, while at the same time eliminating the obsolete approaches that are still practiced by the majority of your competition. Keyrus South Africa promotes the latest trends in budgeting and cash flow forecasting with a focus on providing board level members with the right cash flow related insights. We believe that it is important to produce budgets & forecasts that support accurate cash flow forecasts and information, thus reducing the risk of a cash crisis. This information becomes the basis on which to optimise an organisation’s investment strategies by knowing its anticipated cash situation in the future with a higher degree of confidence.